#152: Breaking a Habit | mark Joseph "young"
This is mark Joseph “young” blog entry #152, on the subject of Breaking a Habit. We all have habits. It is actually a positive feature of our design: we can harness this habit process to give ourselves good habits, like habitually buckling our seatbelts, or brushing our teeth, or saying prayers when we hear sirens. Yet we tend to notice habits when we develop harmful ones–the regular drink at the odd time, the tendency to snack while working, and of course one of the big ones, smoking. It was smoking that caused me to think about this, because I know several people who smoke and really can’t afford the cigarettes, and because of my father. I can remember him smoking when I was a boy, and I can remember that my mother said he had a hard time quitting. In the last years of his life he shared with me two things, one the way he managed to quit, and the other a technique he had recently seen in a newspaper that would work well with his own. 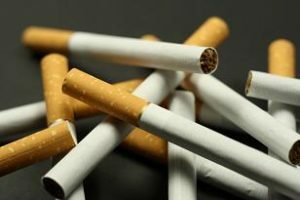 He seemed at the time eager that I should pass these to smokers I knew, but on reflection it occurs to me that these are good ways to quit just about any habit–and my theology tells me that we all have habits we ought to break, and we all have trouble breaking them. The difficulty, it seems, is that it is just about impossible for any of us to say to ourselves that we will never do something again, and then stick to that. It’s the reason you’ve probably already broken at least one of the New Year’s Resolutions you made yesterday. It may be that angels who live in eternity can make irrevocable choices, but those of us stuck here in this time zone do not have that ability. And therein lies the key to beating the habit: recognize that you can’t decide never again, and deal with right now. My father explained to me that he never quit smoking. He had in previous years won bets against people who were trying to quit smoking, which were in essence that he could go longer without a cigarette than they would. One day he applied that to the long haul. For over fifty years he never quit smoking, never told himself he was quitting, he just always decided that he didn’t need a cigarette right now, every time he wanted one. You don’t quit smoking, you don’t break a habit, by deciding right now that you will never do it again; you break it by deciding that you won’t do it now, even if maybe you’ll do it later. When later becomes now, you make the same decision, because you can almost always decide that now is not a good time for a cigarette, that you can have one later when the time is better, and never decide that the time is better. The other part is worth mentioning, particularly for people who have failed before. Failure is not necessarily a disaster; it only means that you start again. The suggestion that was made was that you keep score and play against yourself. Keep a notebook, or get some kind of “app” on your phone that lets you record this. Every time you indulge the habit–have a cigarette, or if that’s not your habit, raid the icebox or take a drink–write down the date and time, and do the math: how long has it been since the last time you did this? That’s your score. Keep track of your best score, and try to beat it. If you have gone four days without a cigarette, but your personal best on record is six days, tell yourself you can beat six days, even if it’s only six days and one hour, and put off that smoke until you’ve bested yourself. Then you have a new record, a new best to beat. You’ve also proved that you can go that long, and if you stick to it you’ll be going months without a mistake. This is nothing new, really. It’s part of why they have that litany at the beginning of every speech at Alcoholics Anonymous: this is who I am, I admit I have a problem, and at the moment my streak is this long. When it has been three years since you’ve had a drink–or a smoke, or an unscheduled snack, or whatever your habit is–you have some sense of accomplishment in the number. No one says it will never be a temptation; it’s only that practicing resisting that temptation makes you better at it; setting goals you know are achievable because you have done nearly as well before, and dealing with the problem in the present instead of in the hypothetical, all make that resistance easier. So I hope this helps you quit the habit, whatever it is. Previous Post#151: A Musician’s ResumeNext Post#153: What Are Ghosts?